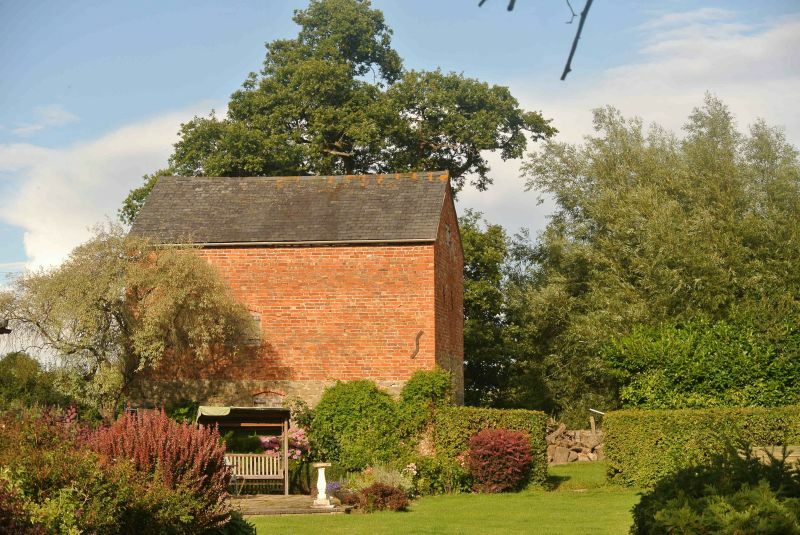 Located to the E of the former stables of Gunley Hall, in a small wooded area in the corner of a field. Located to the rear of a new house attached to the W end of Gunley Hall. Located overlooking the Camlad valley, on the W side of the farm road, off the Marton Road 600m W of Gunley.